This week my daughter Camila Daya and I watched two movies in Mandarin together, and also practiced children’s music a bit on our way to her gym classes. We watched The Lion King dubbed in Mandarin for the fourth or fifth time and enjoyed it thoroughly, as always. The momentary inspiration for this selection was the fact that we are going to do a safari in South Africa next week, so seeing the animated lions and other animals helped us get excited. Previously, when looking up Boonie Bears episodes, I chanced upon a feature-length Boonie Bears movie that I had not even previously heard of, so of course I downloaded it. It was the second movie we watched last week. There are no English subtitles, so we understood very little of the dialogue, but had a good time watching it. The plot is relatively easy to follow, of course. In addition, I was pleased on several occasions to pick out words I would not have understood a few months ago, and which helped me understand the storyline. Even my daughter, who has done only a third of my Mandarin viewing thus far, understood several words. It took me a while to discover the title of the movie. Finally, Google told me it is a 2015 film called Boonie Bears: Mystical Winter. I didn’t find it as entertaining–and certainly not as funny–as last year’s Boonie Bears: To the Rescue. Nevertheless, there were touching moments, and I found the mystical aspects of it quirky but interesting. On my way to the farm this weekend, I was very pleased to be able, for the first time, to sing along with Nan Zi Han from Mulan the whole way through. I have finally completed its memorization, after many months! So, my dear (and dwindling) readers, you can look forward to a new music video soon, hopefully in May, when we get back from Africa. I remember the first few days of my Mandarin Experiment, in January 2014. I did not even know where to start. I had coincidentally met a couple of people in previous days who had lived in China and recommended a couple of kids’ shows, which I plugged into YouTube. I looked up Mandarin films in Google and tried to figure out how to start watching them. I found Pleasant Goat and Bad Bad Wolf trippy, but uninteresting. Watching Farewell my Concubine without subtitles on some unknown website was a chore. The best viewing experience was Momo, which allowed me to understand my first few words, such as English imports bye-bye and hi, and homonyms like mama and baba. But the infantile and repetitive nature meant I could only take so much. Gradually, I chanced upon new sources and experimented widely. I began having a lot of fun. The first year, I spent most of my time on movies with subtitles, Boonie Bears, and Qiao Hu. I continue with those three staples, and more recently I’ve begun watching more movies without subtitles and added children’s music. Going back to Law school and having an extremely tight schedule has contributed to my forming somewhat of a routine in my Mandarin viewing–a far cry from the experimental chaos at the beginning of last year. – Two evenings out of the week my wife and daughter and I watch two Boonie Bears episodes together before going to bed. – Two or three times a week, while driving to work, to classes, or to my farm, I listen to kids’ music from Little Dragon Tales or practice lines from Nan Zi Han, from the movie Mulan. – Once a week, while having lunch at home by myself, I’ll review clips from a couple of movies or Qiao Hu episodes that contain vocabulary from my database. – One or two evenings a week, I’ll spend 45 minutes to an hour watching something, usually a movie but occasionally another source, with the specific goal of deciphering vocabulary to add to my database. – On the weekend, out at my farm, I’ll relax at night watching a new movie without subtitles–at least until I fall asleep. In addition to having settled into regular viewing sources and habits, I’ve also gradually added some structure by way of the database I mentioned and my self-tests. Beginning in August of last year, I added an average of one word a day to the database, a phonetic version of a word that I was able to decipher with a high degree of confidence–either because of context or subtitles. Two months ago, I decided to increase to an average of two words a day, which has sometimes been a challenge and taken up more time (in deciphering) than I had hoped. I currently have 317 words, some of which I’ve internalized, but most of which I am still in the process of learning by continuous review. Sometimes I feel, like I mentioned in a recent post, that I’m merely plugging away with my project. Even on those occasions, watching or listening to Mandarin is a welcome respite from more pressing responsibilities. In other moments or moods, I continue to have a lot of fun and consider Mandarin viewing one of the most enjoyable parts of my day. Tomorrow I begin my evening Law classes again at the University of Brasilia, after a two-year hiatus. On top of my demanding full-time job, work trips, language institute, farm and tree plantation, and lovely family, my schedule is a bit tight. But I’m enjoying my Mandarin experiment immensely and there is no way I’m going to stop. I don’t even want to slow down. I intend to keep up my average 45 minutes per day. Trying to fit so much into one’s day may reflect some underlying existential dilemma (actually, I’m pretty sure it does in my case), but it also takes planning, discipline, and creativity. No time can be wasted. That includes time behind the wheel. Fortunately, I don’t have a long commute, but driving to work and back twice a day and taking my daughter to the gym and school takes up a total of nearly one hour a day. On weekends, I spend at the very least three hours driving to get to my farm and then back to Brasilia. When traffic permits (safety first, folks), I have been using that time to make hands-free calls (probably not the best idea), listen to spiritual music and talks, mentally plan projects for my language institute, and more recently listen to French radio broadcasts. This imperative of efficiency has led me to make a significant change in my Mandarin experiment. I have increasingly incorporated listening to music into my “studies.” I have listened to music since early in my experiment, but initially only as it appeared in the videos I was watching anyway: mostly dubbed Disney movies, but also Boonie Bears and Qiao Hu. I transitioned to using music as a deliberate learning tool when in June of last year I began repeating the video segment of Nan Zi Han (Make a Man Out of You) in the Chinese dub of Mulan, attempting to decipher and memorize the syllables. I made some progress, but it was extremely slow and I put that mini subproject on the backburner. This year, I took up the Boonie Bears intro song, which is much shorter, and set out to learn it. That is when I started listening in the car for the sake of efficiency. I found that repeating single lines over and over again—sometimes actually turning the music off to better focus on memorizing lines—was at least as effective as watching the video endlessly. I found I was making good use of my time and advancing my learning process. I learned the entire song and made the infamous video of my daughter and me singing and dancing. I then returned to Nan Zi Han, and I am slowly learning it, mostly while driving. Stay tuned for a much sillier home video, coming soon. In the meantime, I chanced upon an awesome little album of Chinese children’s songs with a electronica accompaniment. It’s Little Dragon Tales by the Shanghai Restoration Project. I downloaded the album, which came with a pdf file that included the lyrics—in Chinese characters, pinyin, and English translation. The temptation was too great. Not only that—I’m fully convinced that using music for language acquisition is much more effective when one actually learns the lyrics. So I began peaking. I now listen to Little Dragon Tales, the Boonie Bears song, and Nan Zi Han while driving. Obviously, this is exclusively oral (and mental). However, occasionally I will spend two or five minutes studying the lyrics to these songs (at zero miles per hour—no worries) to be sure I am getting the syllables more or less right, and that I have a general sense of the meaning of what I am singing. So far, just 20 out of my 300 hours have been used for listening to music, but that proportion will increase over time. All told, approximately three of those hours have been spent while accessing the lyrics. I have updated my Hypothesis and Methodology pages to include listening to music, which I had not thought of when I started my experiment. I am tracking the time I spend with music as carefully as my video-viewing time. When assessing my results at the end of this experiment, I will certainly take into account the use of music as well as the videos. In sum, practical considerations, especially the imperative of efficiency, have trumped methodological purism and rigid attachment to rules. However, I believe listening to Chinese music is fully in the spirit of my experiment, even if critics will undoubtedly pounce on my use of lyrics (even though it accounts for 1% of my experiment time) to question its credibility. 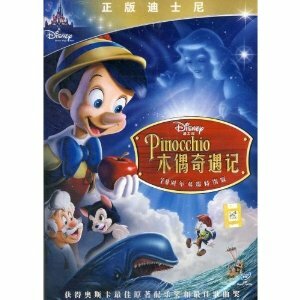 Disney movies dubbed in a foreign language are an excellent resource for improving one’s L2 listening comprehension. My reasons for making this claim can be summed up in two words: high quality. The better Disney movies are endlessly entertaining because they are brilliantly scripted and executed. It’s easy to understand why classics such as Cinderella and Snow White and modern masterpieces like The Little Mermaid, Lion King, and Nemo all have at least 90% approval on Rotten Tomatoes. Fortunately, it appears the studio takes equal care in producing first-rate international versions of these films. My impression is that the translations and dubbing are among the best in the industry; the results are satisfying for children and their parents worldwide. Perhaps the most impressive aspect of Disney’s language localization is the production of country- and language-specific versions of the songs in the many musical movies such as Mulan or Beauty and the Beast. “I marvel at how they get the same overall meaning into lyrics which still fit the melody and rhyme scheme perfectly” is an opinion I second without hesitation. Most studios do not choose to translate the songs in their movies at all, and the fact that Disney does, and with such quality, is an added reason that their productions are such a fine language-acquisition resource. In my view, films are, generally speaking, the best available resource for self-study in second-language listening comprehension. They effectively mimic the way the language is naturally spoken; the visual cues greatly enhance comprehension; they are highly entertaining and easily available. This insight underpins my entire experiment. Music, however, is a close second, with distinct advantages: as the advertising industry grasped long ago, catchy music fosters vocal and mental repetition and gets language deep into your subconscious. This phenomenon is useful not only for marketing professionals, but also for language acquisition enthusiasts. High quality songs in movies combine many of the advantages of both learning resources. Watching numerous Disney movies again and again in the target language and carefully studying, memorizing, and singing along with the lyrics to the songs would take any child (or adult) a long way toward attaining solid listening comprehension skills. In my own experiment, I do not carefully study lyrics, though I would always recommend that regular language students do so. I have, nonetheless, decided that using my time efficiently trumps literal adherence to my original game plan of exclusively viewing videos. Thus, I have decided to take Mandarin songs from movies and other videos I like to watch and repeat them over and over in the car as I drive until I am able to sing along. I think this change is fairly uncontroversial since it is still a listening-only approach based on authentic audio material and does not involve formal study, classes, or a teacher. I am recording the time spent on these songs in the car and counting it toward my 1,200 experimental hours. I am currently learning the Boonie Bears (season 1) theme song, after which I plan to continue learning Nan Zi Han and then probably A Girl Worth Fighting For—both from Mulan—and probably other Disney movie songs. I intend eventually to make a CD compilation with Boonie Bears and Disney movie music and also add some infantile but catchy Qiao Hu tunes, which, unlike the others, I can actually understand. My goal, beyond squeezing more Mandarin hours into an inordinately busy schedule, internalizing the sounds of the language, and reinforcing some vocabulary, is to be able to sing along to these songs whenever I sit down to watch Boonie Bears or the Disney movies. Thus I will not only provide some good laughs for anybody in the vicinity, I will also make the movie-watching experience more fun, and, most importantly, enhance it as a powerful language-acquisition exercise. 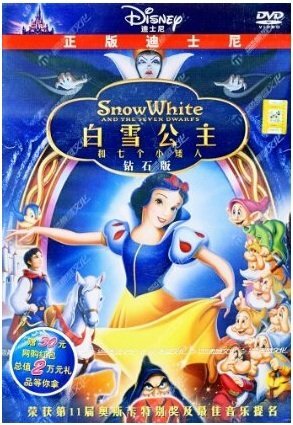 There is a significant comparative downside to using Disney movies to learn Mandarin or any language besides American English: you are failing to get the associated cultural understanding. The best part of my Mandarin experiment thus far has been discovering Chinese cinema. Watching wu xia epics such as Hero, House of Flying Daggers, Red Cliff, and The Warlords, and realistic fiction such as Not One Less, Aftershock, and The Story of Qiu Ju has not only been greatly entertaining, it has enriched me with insights about Chinese history, geography, and culture. Disney does such a good job of translating movies and even their songs that, invariably, a bit of the L2 culture is incorporated. Yet, fundamentally, it is Western—and especially American—culture that motivates the storylines and all the elements surrounding them. The superimposed foreign language translation will always be an imperfect fit when compared to original Chinese movies such as Shower or Curse of the Golden Flower. However, the obvious factor that I have not yet mentioned and that clinches the argument in favor of dubbed Disney movies as a potentially valuable part of one’s listening repertoire is their appeal for kids. I’m sure there are also Chinese original shows and movies that could potentially hold Western children’s attention—and in fact I have found such a source in the Boonie Bears. But nothing gets my daughter to clock in long hours of Mandarin viewing like watching The Lion King, Beauty and the Beast, and Nemo with me. We have watched all nine movies pictured at the top of this post together. Fortunately, I enjoy them almost as much as she does. I should note that they are all available on DVD on the U.S. Amazon website. 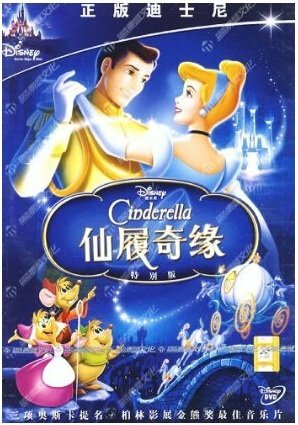 For you to use these dubbed Disney movies with your children, they will have to either have a much higher level of Mandarin (or other target language), so they actually understand most of the dialogue, or, like my daughter, be content to read the English-language subtitles. In the latter case, one needs to remind them also to pay attention to what is spoken—yet I am unsure how effective a strategy that is. I do not know whether my daughter really gets much Mandarin practice or is too caught up in reading the subtitles. I am not particularly worried about this, however, because watching subtitled movies has greatly benefited her reading comprehension in English! In short, Disney movies are a great choice for kids learning a foreign language or—as in my case—for adults who want to share their learning experience with their kids and provide them with some level of exposure. This past week Camila Daya and I watched Beauty and the Beast dubbed in Mandarin twice (and she watched it couple of additional times in English). 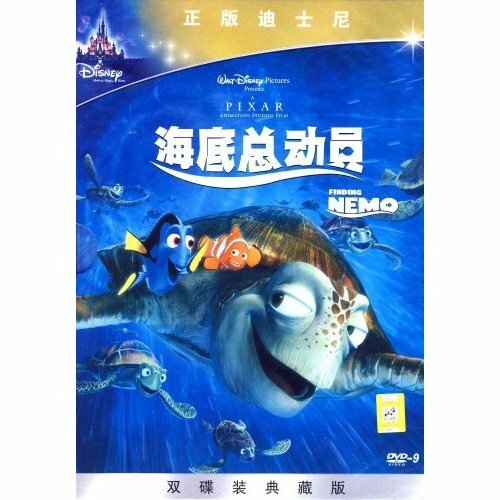 It’s a great learning source, just like The Little Mermaid, due to its high quality and “watchability”, the straightforward dialogues (not that I understand much of anything haha), and the catchy songs. 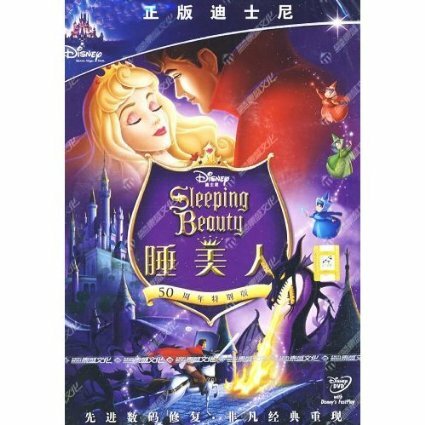 On a side note, I noticed that buying some of these Mandarin-language Disney DVDs would be a good way to circumvent the lack of availability of Disney classics for regular purchase or legal download, since they have an English language option. 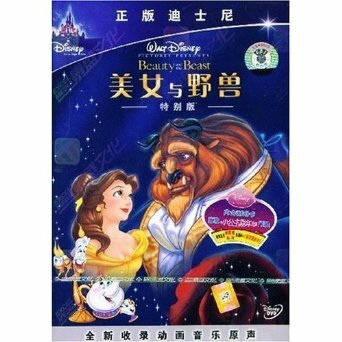 I had tried buying Beauty and the Beast in the past for my daughter (regular edition, in English), but it seems to be a Disney marketing strategy to keep them off the market for long periods. 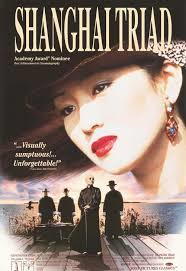 I also watched a new Chinese movie, Shanghai Triad. It’s an excellent movie and I would highly recommend it, as long as you’re not looking for something to lift your spirits or restore your faith in humanity. Set in 1930s Shanghai, it’s an authentic Chinese gangster movie with some interesting twists. 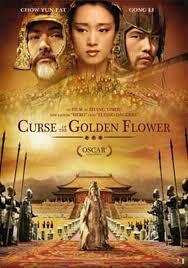 It’s a different style from any of the other Chinese movies I’ve seen to date and the first of this genre. I recognized the actress Gong Li from The Emperor and the Assassin and I subsequently realized I’ve also seen her in Farewell My Concubine and Memoirs of a Geisha (the Japanese movie). Gong Li is clearly one of China’s top actresses from the past three decades and I’m sure I’ll see a few more movies from her filmography in coming months. Finally, I am persevering with THE SONG. Of course, I’m referring to Make a Man out of You, Mandarin version, from Mulan. I’m happy to report that after three hours of listening to it (over a few weeks) I can now sing along with six whole lines! I would have expected to take about 30 minutes to learn six lines. But no matter … I will stick with it. Who knows how awful my pronunciation may be, but it sounds okay to me! I can sing along to these five lines without missing a syllable. In the video above, I wasn’t very focused, so there are grosser mistakes. I’ve watched very little Qiao Hu, which is what I should be doing, but I do get a few minutes in from time to time and you can look forward to a new study guide in August. I will soon have completed 120 hours or 10% of my planned viewing time for the experiment, which will be my first big milestone. If I do that by next week, in my next post I hope to take stock of my progress and reflect on my hypothesis and way forward.